Once Upon a Ride… a compendium of Jobst Rides, available now. 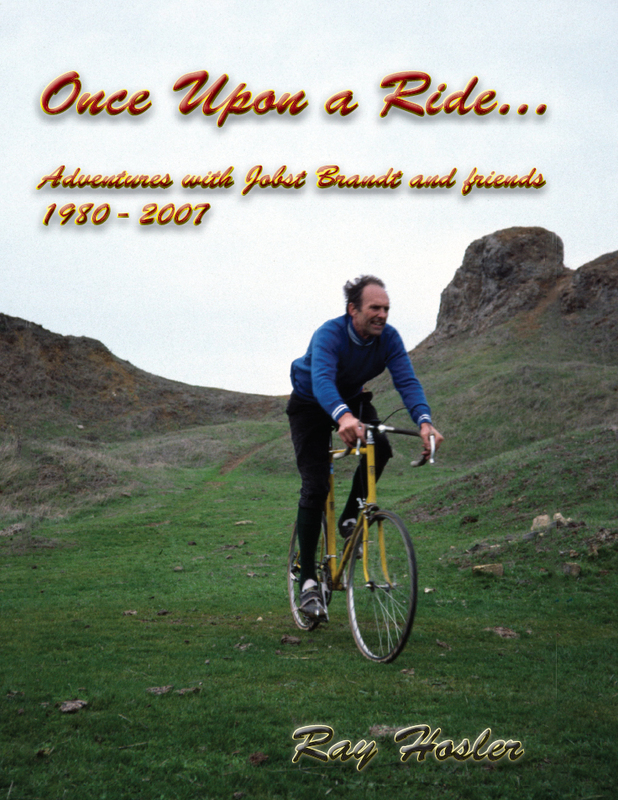 Thirty-six years in the making, Once Upon a Ride… offers the reader the most complete complete account of Jobst Rides ever. Even if you own the other three magazines, Adventure Rides in the Santa Cruz Mountains, High Sierra and Mount Hamilton by Bike, there’s something new here. 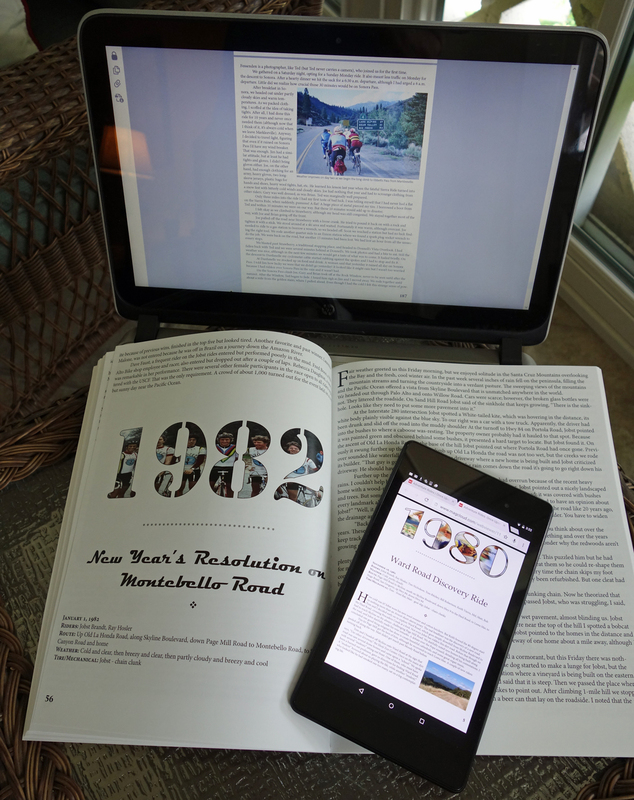 Over the years I’ve posted past ride reports, based on my personal journal, on this WordPress blog and a personal website (no longer active). All of those articles, including 60 new ones about rides with Jobst Brandt and/or his friends, are for sale on Amazon.com. It’s a lot: 100,000 words, 169 photos, with almost all photos matched to the report. Now you don’t have to search all over the place for Jobst Ride stories, most of which are no longer posted. All for the price of an inner tube, $5.95. These are your options: print, notebook/chromebook or tablet. This entry was posted on June 29, 2016 at 12:28 pm and is filed under News, Once Upon a Ride, Ride reports. You can follow any responses to this entry through the RSS 2.0 feed. You can leave a response, or trackback from your own site. Are the other three publications on the Sierras, Mt Hamilton etc , subsets of this one or do they cover other trips etc? Very cool! I always love reading about Jobst rides. Really enjoying reading your ride reports. Also really wish all the private roads would be made open to the public. Thanks for sharing. I’d be interested in this publication, but seems it is not available. Any way to get a copy? Ryan, it’s on Amazon. I updated the link, and you can always click on Amazon.com “My publications for sale” upper right on my home page.